The Most Dynamic Performance Training Program in Katy period! First week of practice is a week long power, explosion and speed camp consisting of tractor tire flips, battle ropes, push sleds, change of direction sprints, and of course position specific game simulation training with parachutes, ground ladders, mini hurdles and route trees! After the first week each athlete is in better condition and more capable as we move to our full pads camp. Athletes in better condition result in athletes who are less likely to injury or fatigue during our position specific training at each position. During our tackle camp we will teach our outstanding game simulation drills that are used today at the higher levels in football. These are game tested drills that have produced some of the most prolific players that Katy has ever seen! Conditioning:July 8th – 11th. Tackle: July 15th – 18th. 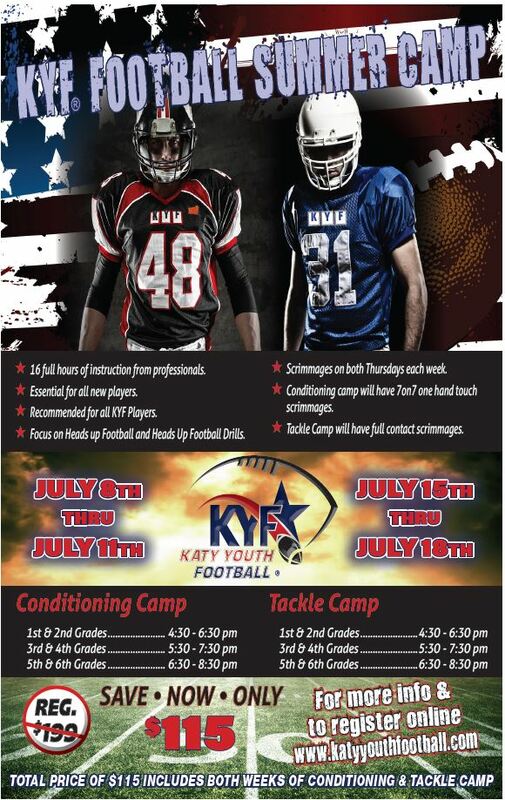 KYF® Conditioning and Tackle Football Camp: Both weeks, One Low Price!! KYF® camps are for 1st-6th graders. KYF® Camps are recommended for all KYF® Players, and especially for all new players!! These camps are designed to get kids ready for the upcoming tackle season regardless of skill level. They will help seasoned players get to the next level and they will help new players get acclimated. These Camps should be considered essential for all first time players and all new players to KYF®. This year KYF® has put together a comprehensive conditioning and tackle football camp to take place over 2 weeks, with over 16 hours of professional instruction. 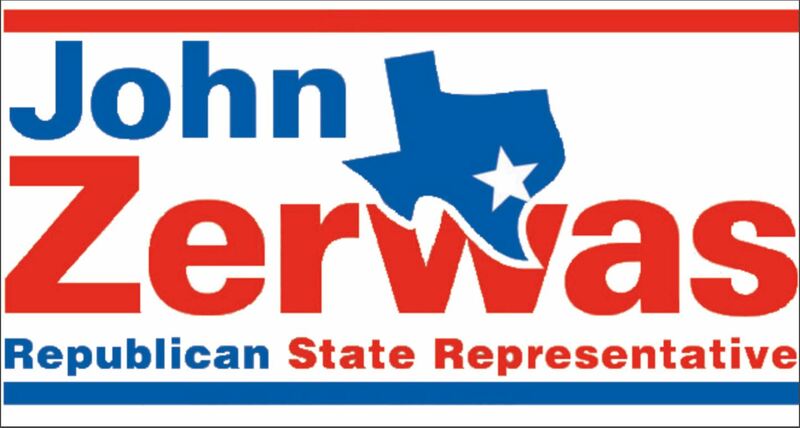 You get both weeks and everything in between ALL for just $115.00 if you register before 7/1/2019. This is a $200 value, all for just $115!!. KYF® is offering both weeks of camp for one low price, and we hope to have every player attend each week! At KYF® it is our mission to provide the most comprehensive sports science training methods available to all age levels. The KYF® Tackle Football Camp will focus on Heads Up Football℠ and Shoulder Tackling! USA Football’s Shoulder Tackling is a step-by-step protocol to teach the core principles of the skill, and sets a new standard in player safety. The program utilizes five fundamentals through a series of drills to reinforce proper tackling mechanics and teach players how to properly tackle, with a focus on reducing helmet contact. We teach USA Football’s New Tip of The Spear Tackling and Blocking System! !